I love choosing an outfit for July 4th. There’s something about it that is so much fun! 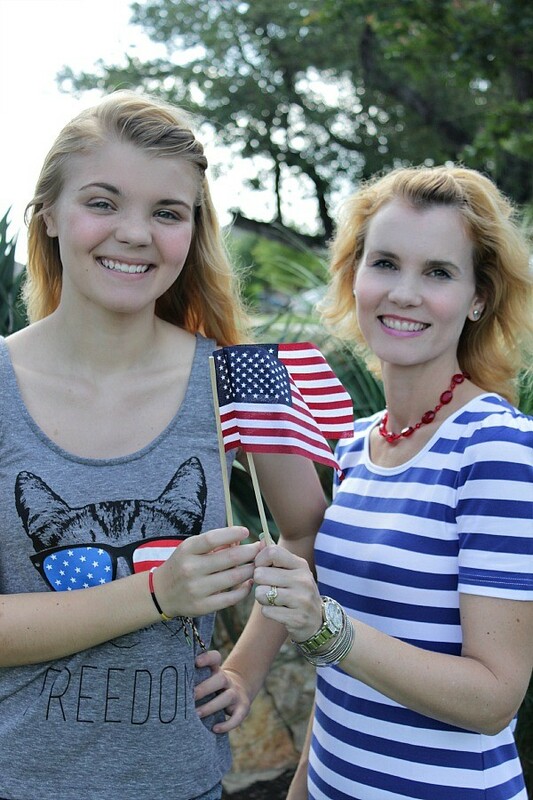 I really had fun with this What to Wear feature because I did it with my daughter Hannah. I’ve also been dying to wear this dress I recently ordered. 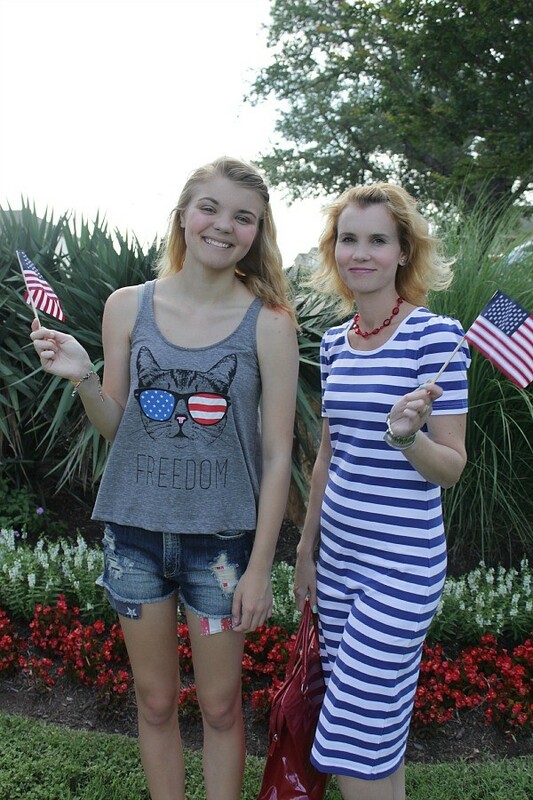 So, what does a mom wear for July 4th and what does a 16 year old girl wear. Let’s see! Whether Hannah is headed to a friend’s backyard Fourth of July party, the beach or our town’s local parade; her outfit is perfect. We shopped at one of her favorite stores where we never, ever leave empty handed – Target! 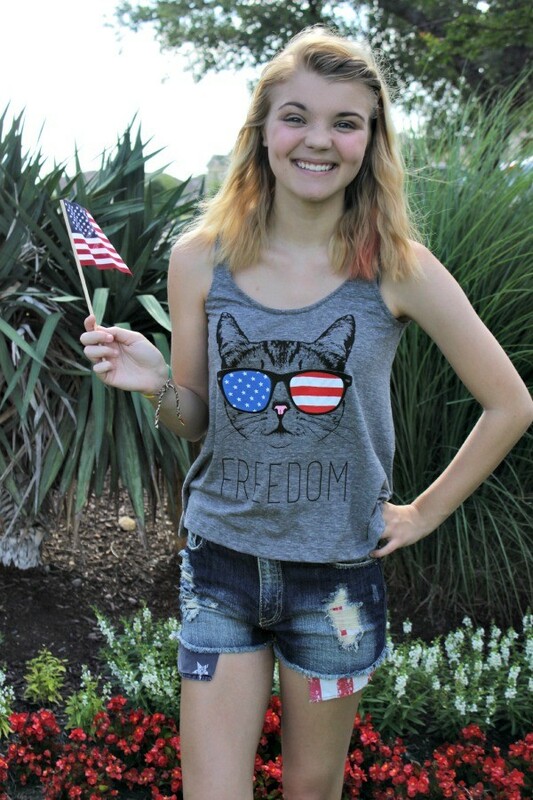 The Freedom Cat tank top was an easy choice for her. Just look at it. 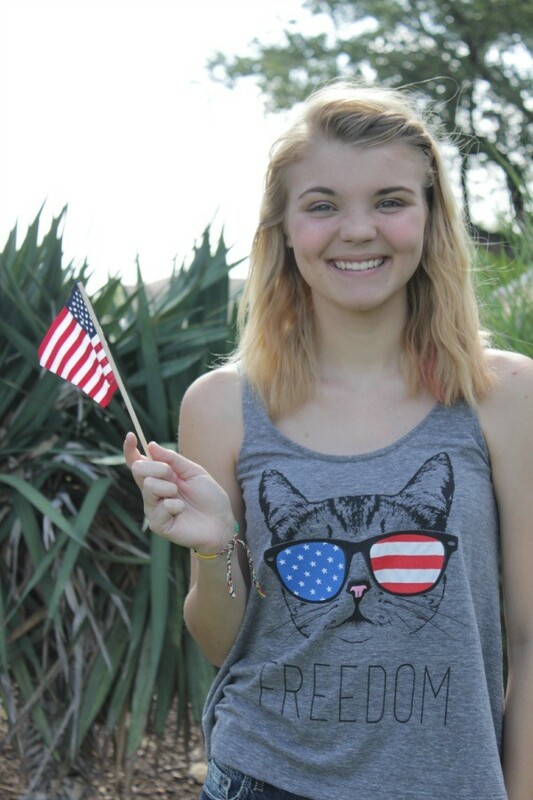 It’s a cat…wearing flag sunglasses. She also fell in love with these shorts and since they were Buy One, Get One 50% off (and I used the Cartwheel app for an extra 15% off women’s shorts! ), she snagged another pair. She paired the tank and cut off shorts with her red Vans. As most of you know, I love dresses! So when I saw this striped blue dress on Jane.com I knew I had to have it and I also knew it would be perfect for July 4th. As I mentioned here, this truly is a perfect summer dress. It has a little stretch to it with some added spandex. 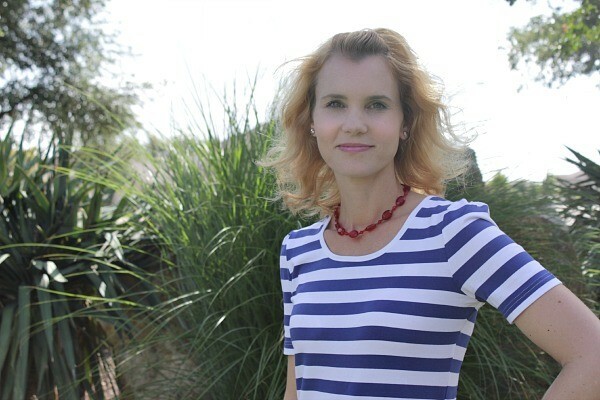 The stripes give it that nautical look and it’s a no fuss, slip over the head and go dress. It’s not see through either, so there’s no need to wear anything under it. I wore it out and about the other day running errands and I can definitely see this as a go-to dress this season. I paired it with a simple red necklace, silver gladiator sandals, a red tote bag and simple silver jewelry. Voila! 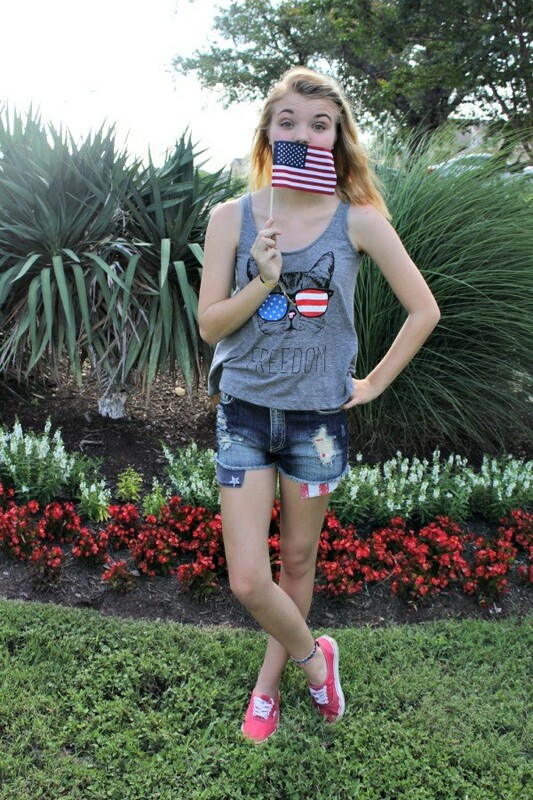 A fun, comfortable and festive July 4th outfit. Where will you be this July 4th? 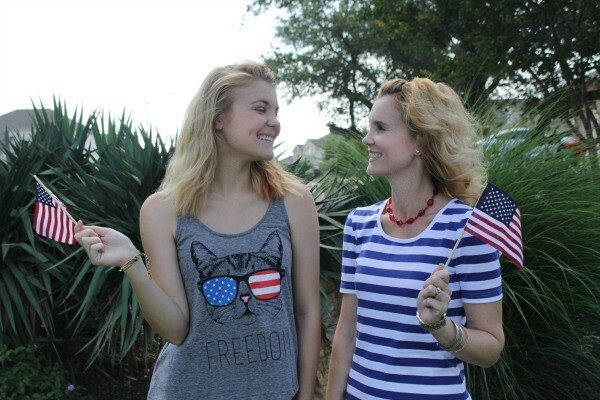 I hope Hannah and I have given you some fabulous July 4th outfit ideas and inspirations. 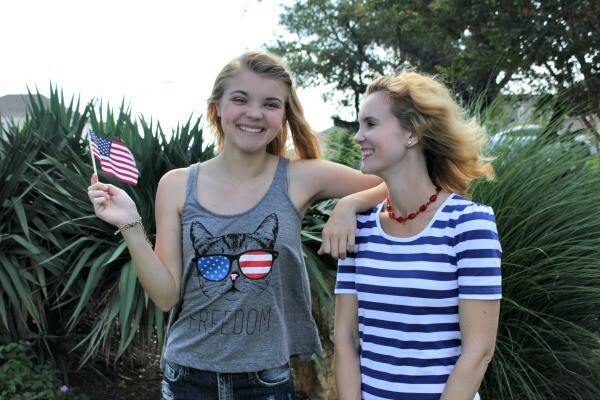 Previous articleABC Family’s Young & Hungry Blogger Challenges – Vote for Me!